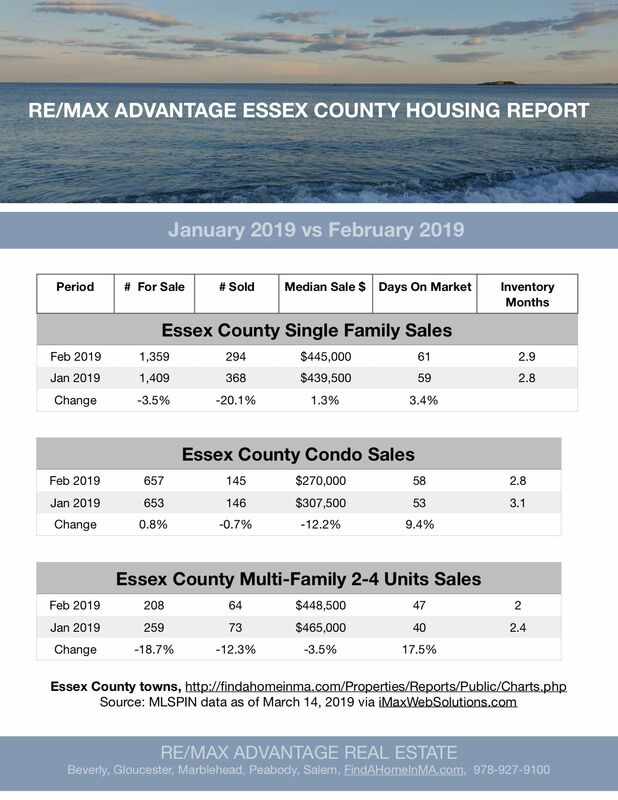 Inventories fell in January for all property types but turned positive for single family and multi-family over past 3 months. 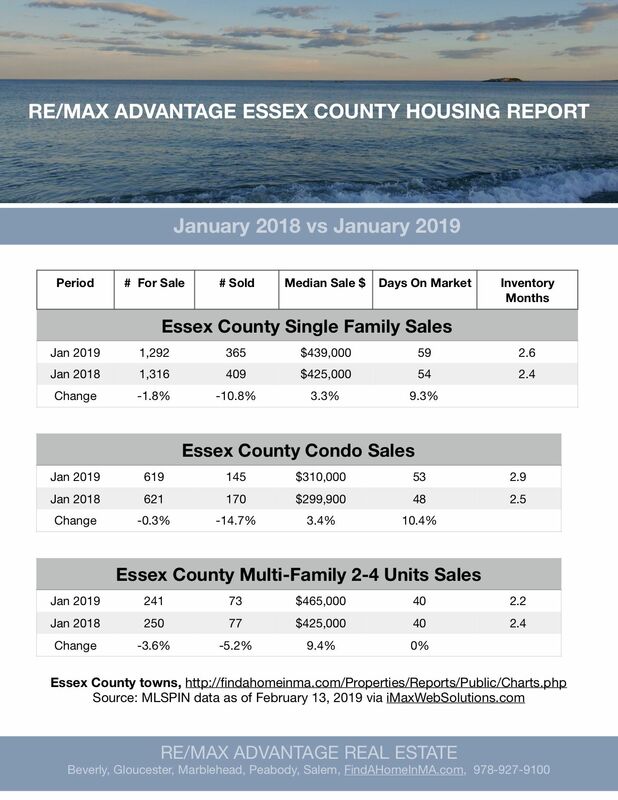 Prices rose for all property types over all time frames. 6 Months comparisons are also included. Remodelers across the country took a hit last summer as the cost of building materials spiked dramatically, and the picture for 2019 isn't much rosier. 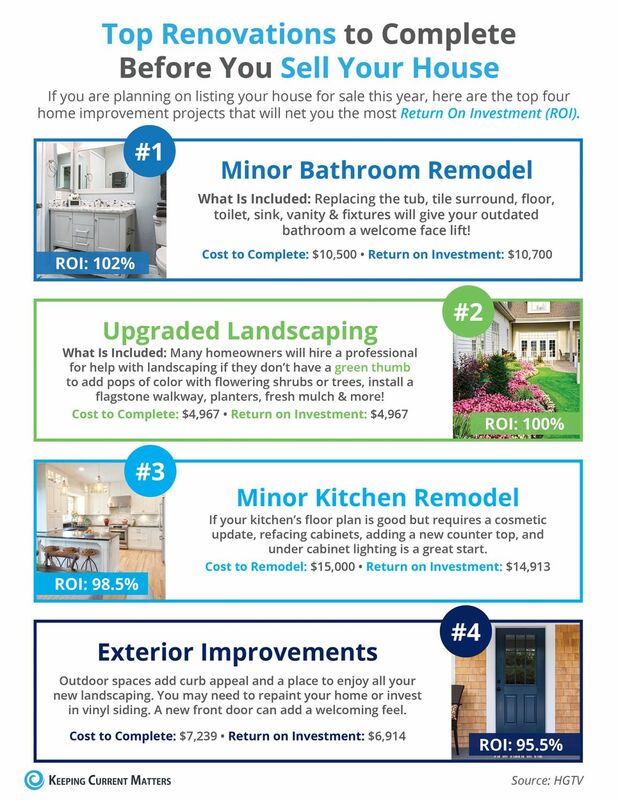 The percentage of return on investment (ROI) is projected to trend downward for all the replacement projects listed in Remodeling magazine's newly-released Cost vs. Value Report. Larger indoor remodel projects took a hit as well, but weren't impacted as greatly as replacement projects as they rely more on labor costs rather than material costs. "With the increasing costs of building materials and labor, we urge remodelers to think like real estate professionals first,” says Clayton DeKorne, editor-in-chief of Remodeling magazine. "When you adjust your focus to think like a broker first, you can dull clients’ No. 1 pain point—cost—with a discussion of the amount that can be recouped." The 2019 Cost vs. Value Report surveyed more than 3,200 real estate professionals about returns for 22 popular renovation projects in 136 different U.S. housing markets—up from 100 markets last year. View the full report, including project descriptions and city-level data, here. 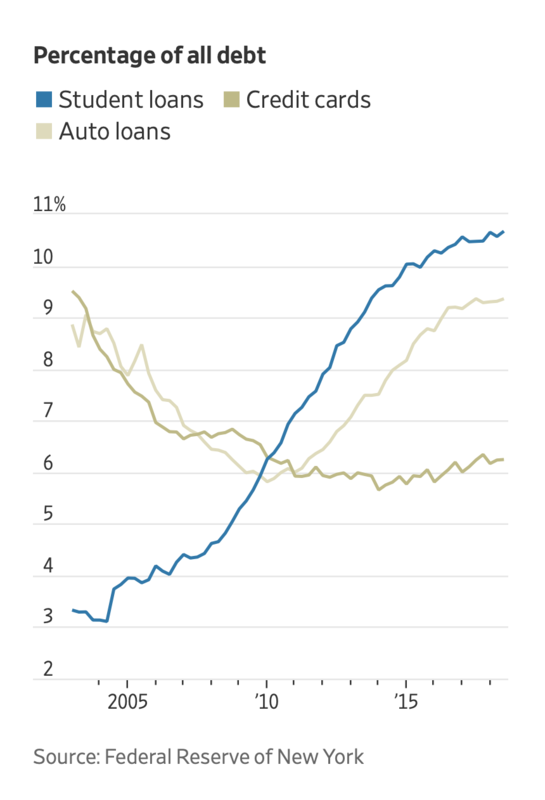 The effect of student debt on the economy has been debated in recent years, as the total has soared to $1.5 trillion, surpassing Americans’ credit-card and car-loan bills. Congress and various White House administrations have pointed to federal student loans as a key way for Americans to pay for college and boost their career earnings. Critics have said the debt is damaging the economic prospects of a generation of Americans. The Fed research published Wednesday didn’t offer a verdict on those assertions. But it showed that student debt is linked to key life decisions for some—including whether to buy a home and where to live. A separate Fed paper Wednesday showed Americans with student debt are leaving rural areas in droves. Half of all student-loan borrowers in rural areas moved to urban areas within six years of taking on their debt, according to the study, which used a sampling of data from a credit-rating firm and Social Security numbers to track the borrowers. “While investing in postsecondary education continues to yield, on average, positive and substantial returns, burdensome student loan debt levels may be lessening these benefits,” the Fed researchers wrote. The reports shed light on two of the economy’s biggest puzzles in recent years. 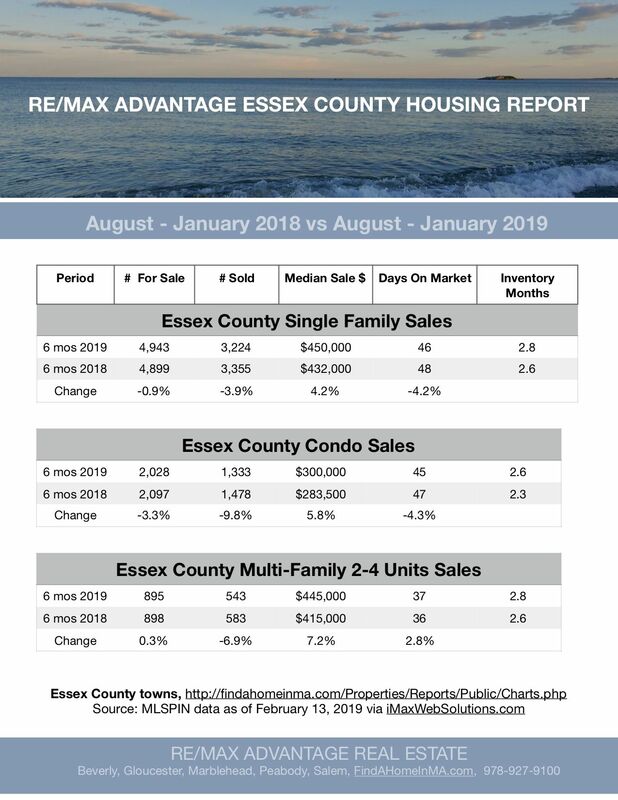 The housing recovery has been historically weak and the fortunes of rural communitieshave lagged behind those of urban areas. Research on the effect of student debt on homeownership has been mixed. Some economists have found that even with the burden of debt, the wage boost from getting a college degree still makes it easier for many borrowers to buy homes. “Basically the only way to get your foot in the housing door is to have a degree, even if it comes with debt,” said Ralph McLaughlin, deputy chief economist atCoreLogic Inc.
College graduates are far more likely to be employed and earn more than workers with only a high-school diploma. The typical American between ages 22 and 27 with a bachelor’s degree earned $42,000 in 2017, according to the New York Federal Reserve. The typical worker with just a high-school diploma earned $28,000. Skylar Olsen, director of economic research and outreach at Zillow, said student loans are combining with high rents and rising home prices to make it difficult for younger households to save for down payments. “It’s a one-two punch,” she said. 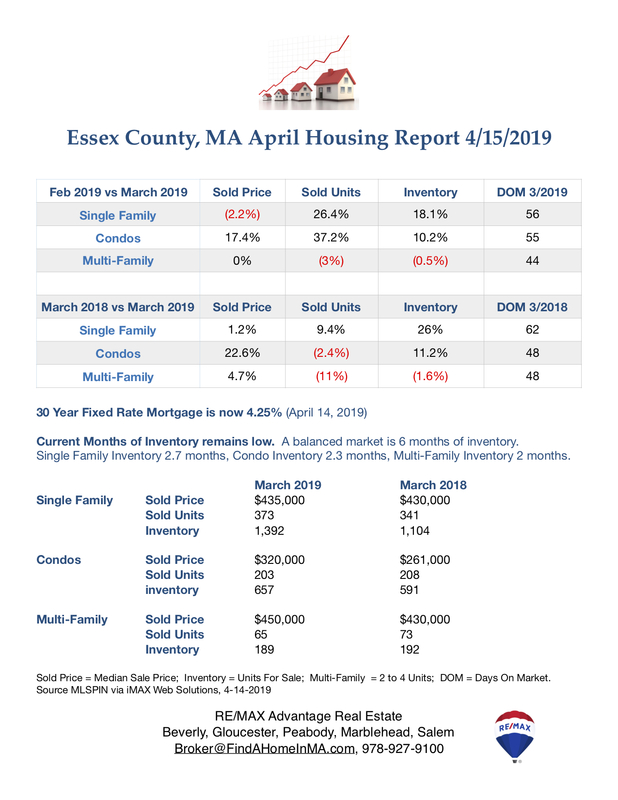 Over the past couple of years, lenders have been making a larger share of loans to borrowers who spend more than 45% of their monthly pretax income on their mortgage payment and other debt, including student loans. The mortgage industry is experimenting with various initiatives to address concerns that student loans make it difficult for millennials to purchase their first homes. The new Fed paper studied borrowers during a period—2005 to 2014—when delinquencies on student loans soared. Since then, many borrowers have enrolled in plans that reduce their monthly bills by setting payments as a share of their incomes. These income-driven repayment plans have been linked to a decline in delinquencies. 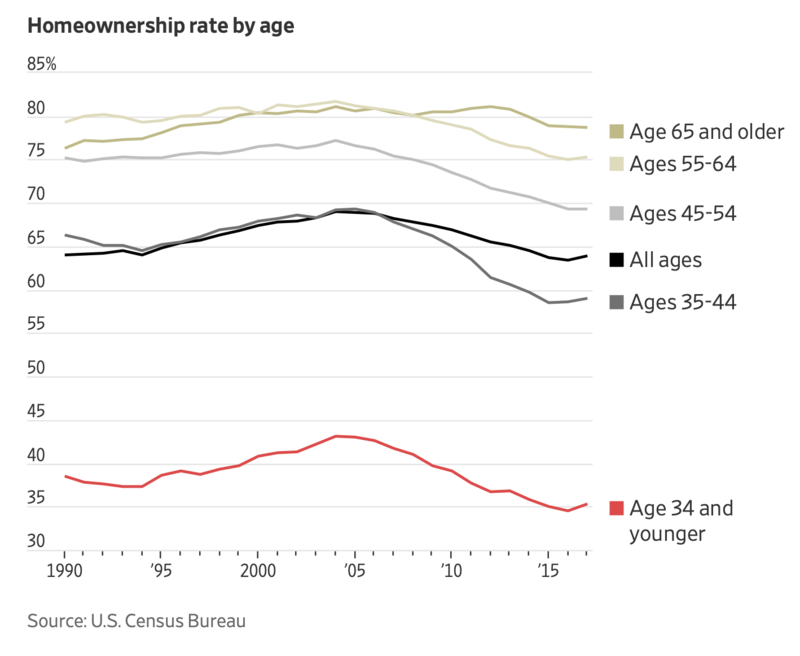 The Fed research doesn’t address whether this development has diminished the effects of student debt on homeownership, which has picked up among young Americans in the past year. Inventory fell, unit sales fell and sale prices rose across all property types for the December, Q4 and Year EXCEPT for Single Family Homes whose prices fell 1.1% in December. Today, Massachusetts adopted a new law taxing and regulating the short-term rental market. The following information should help Realtors® navigate the short-term rental market under these new laws and regulations. What does this new law require? The new law expands the state's hotel and motel tax to include the short-term rental of homes (condominiums, single family, multifamily, etc.). Massachusetts is one of the last states to adopt this type of tax. The tax applies to all rentals for a period of 31 days or less, regardless of whether the rental is for recreational, personal, or business use. At the insistence of MAR, the new law only applies to short-term rentals, meaning ordinary tenancies, such as an annual lease or a tenancy-at-will, are not covered by this bill. A community impact fee of up to 3% may be assessed locally on professionally managed properties (Owners of two or more units in one town). The law requires regulations to minimize the administrative burden on tax filings for those who only rent their unit five (5) months or less each year. Are there any exemptions in the law? The tax imposed by the new law does not apply to properties rented for fourteen (14) days or less per calendar year. It is important to note that these properties are still subject to the other requirements of the law, such as insurance and registration. When will this law take effect? Rental contracts that were signed on or after January 1, 2019 for stays on or after July 1, 2019 will be subject to the tax. We anticipate that the Department of Revenue will issue guidance on how to handle the tax on bookings made on or after January 1, 2019. The law exempts from tax any 2019 rental contract that was completed on or before December 31, 2018. Does this apply to the units I rent? As stated above, the new law applies to all rentals for a period of 31 days or less. Ordinary rentals, such as an annual lease or a tenancy-at-will are not covered. The new law applies regardless of whether the owner rents the property themselves, hires a Realtor® to rent the property, or uses an online platform to facilitate the rental. Do I need to collect the tax? Most likely, yes. The law requires intermediaries (which includes Realtors® who post the property for rent online) who enter into a written agreement with the owner or operator to collect rent or facilitate the collection or payment of rent on behalf of the operator to collect and remit the tax. The Department of Revenue will issue regulations to clarify how often the tax should be remitted to the Department. This also means that a Realtor® who does not collect or facilitate the collection of rent on behalf of the owner or operator does not need to collect and remit the tax. Do I need to carry insurance for the listed properties? No. Although part of earlier versions of the legislation, the final law does not include a requirement that Realtors® provide any liability insurance for listed properties. This requirement was removed due to the advocacy of MAR. Owners, however, are required to maintain $1 million dollars in liability insurance to cover each short-term rental. Realtors® should be sure to confirm that any property they list for rent is properly insured by the owner. The coverage is required to defend and indemnify the owner or operator and any tenants in the building for bodily injury and property damage. Realtors® may elect to offer insurance coverage as part of their services but are not required to. Before offering a property for short-term rentals, a hosting platform (including Realtors®) must provide notice to the owner or operator that standard homeowners or renters insurance may not cover property damage or bodily injury to a third-party arising from the short-term rental. Do the properties need to be registered with the state or city/town? Each rental unit will need to be listed with the state short-term rental registry. Additionally, each city and town is permitted to create a registration requirement for short term rentals. 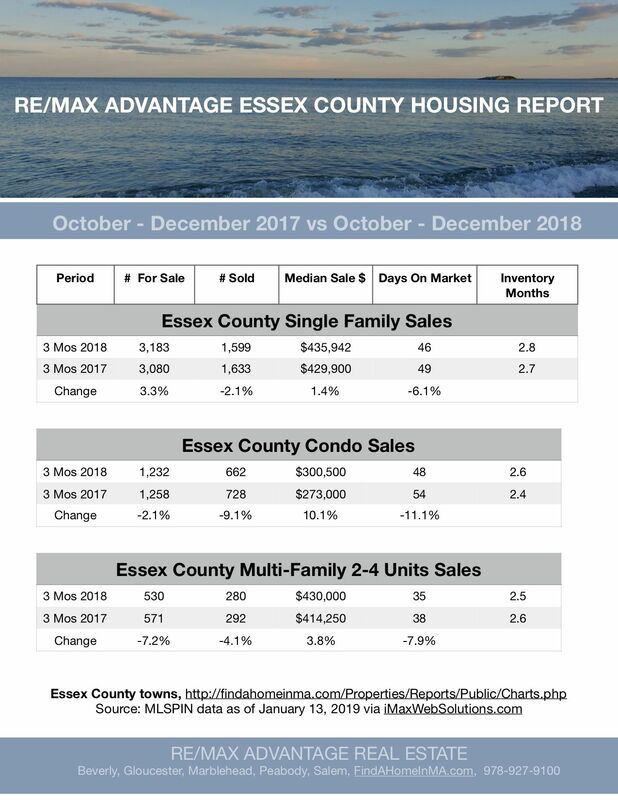 Check with your municipal government office for details. Are there any inspections required? Cities and towns may implement a health and safety inspection requirement and set the frequency of inspections. Short-term rental operators are required to cover the cost of inspections and will likely face a fee to cover registration costs as well. What are some best practices I can apply as the new law gets implemented? 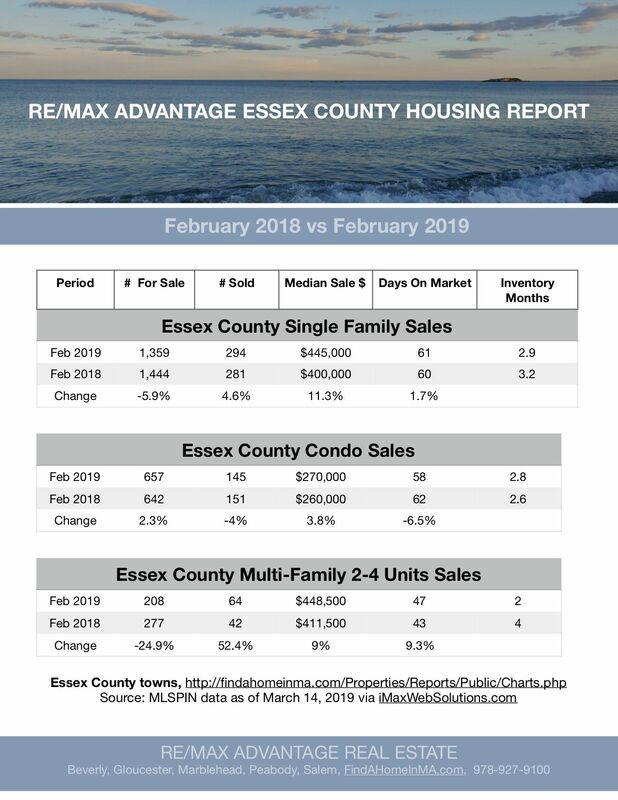 Realtors® would be wise to disclose to prospective renters that any booking made on or after January 1, 2019 may be subject to a tax and that the tax rate may change before the rental period. 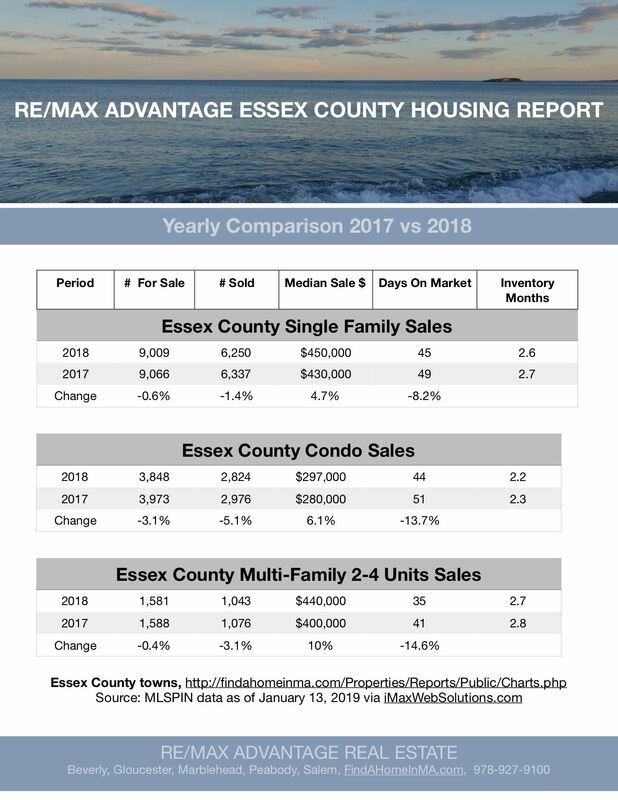 Realtors® may want to postpone the collection of rent until the community tax rates are finalized. Develop a policy to verify the number of units owned by each client in a municipality and that those units are properly insured. WASHINGTON—U.S. 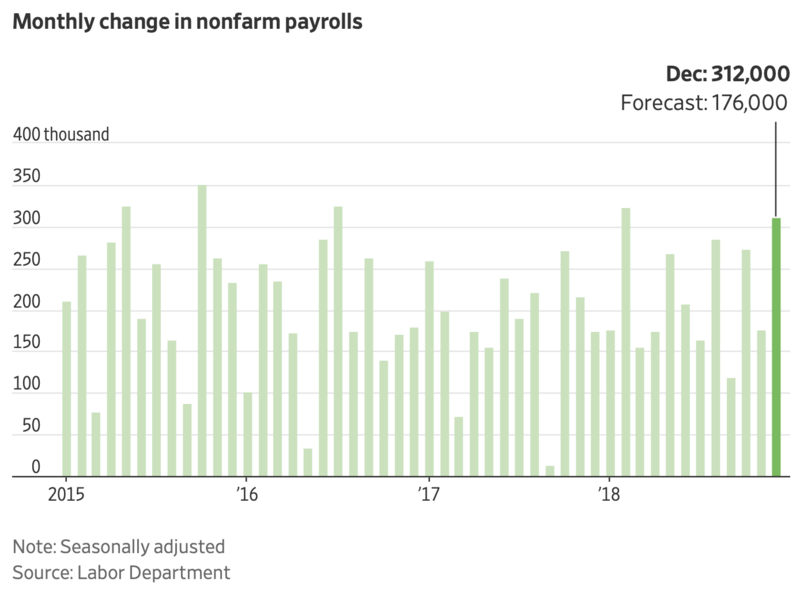 employers added jobs in December at the fastest pace since February and wages surged, suggesting the economy maintained strong momentum at the end of 2018 even as financial markets sank. U.S. nonfarm payrolls increased a seasonally adjusted 312,000 in December, the Labor Department said Friday, the biggest jump since February. Average hourly earnings rose a seasonally adjusted 0.4% from November and 3.2% from December 2017, the best full-year gain since 2008. A separate survey of households showed the unemployment rate climbing to 3.9% from 3.7% in November, though this was mainly due to more workers entering the workforce. Economists surveyed by The Wall Street Journal had expected the economy to add 176,000 new jobs in December, wages to rise 0.3% from November and the jobless rate to fall to 3.6%. Employers added an average of 220,000 jobs a month in 2018, running ahead of the previous year’s pace of 182,000 per month and the best job growth since 2015. This came despite a tighter labor market. More broadly, U.S. payrolls have grown for 99 straight months, by far the longest stretch of steady hiring on record. In December, every private-sector industry except information added jobs, with some of the biggest gains coming from construction, education and health services. Payrolls at all levels of government rose by 11,000 last month. The annual growth in average hourly earnings for private-sector workers rose 3.2% in December. Average hourly earnings for all private-sector workers increased 11 cents last month to $27.48. December was the third straight month in which wages rose more than 3% from a year earlier. That had not previously occurred since the recession ended more than nine years ago. Helping to explain the uptick in joblessness, the labor force participation rate rose to 63.1%, matching its highest level since 2014, from 62.9% in November. Participation has been low by historical standards in recent years as the U.S. population ages, but economists say rising wages and good job prospects may be pulling workers back into the labor force. 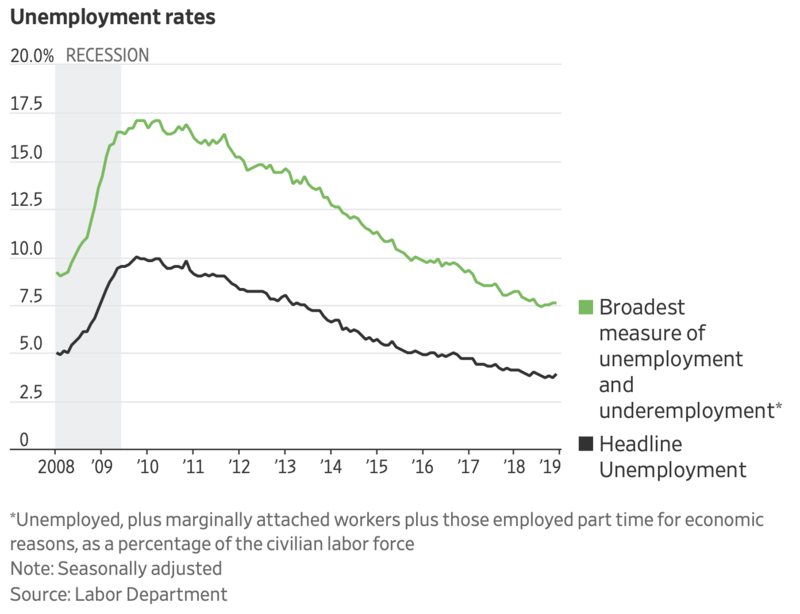 A broader measure of unemployment, which includes discouraged workers and those working part-time for economic reasons, remained stable at 7.6% in December. Unemployment rose to 3.9% in December while a broader measure including underemployment held steady at 7.6%. The latest employment figures provide a significant counterweight to recent signs of slowing momentum in the U.S. economy. But economists cautioned that the underlying data were collected early in December, before the federal government partially shut down and the recent selloff in financial markets accelerated. A closely watched gauge of manufacturing activity posted its largest one-month decline last month since the 2008 financial crisis, the Institute of Supply Management said Thursday. Consumer confidence, though still solid, also fell sharply in December amid uncertainty about the economic outlook this year. Economists expect growth to slow in 2019 as the boost from last year’s tax cuts fades, higher borrowing costs weigh on businesses and consumers, and the Trump administration’s trade policies disrupt U.S. companies’ supply chains and business prospects abroad. Federal Reserve officials project U.S. gross domestic product will expand 2.3% this year, down from around 3% in 2018. Tech giant Apple this week lowered its revenue forecast for the first time in more than 15 years due to ebbing iPhone sales in China. White House economic adviser Kevin Hassett said Thursday that other U.S. companies are likely to face growing difficulties in the Chinese market in the months ahead as the world’s second-largest economy slows amid trade negotiations. The uncertainty has weighed heavily on financial markets. U.S. stocks in 2018 saw their worst yearly losses in a decade, with the Dow Jones Industrial Average closing Thursday almost 16% below its September peak. Still, widespread employment and rising incomes can go a long way toward maintaining growth momentum in an economy where consumer spending amounts to more than two-thirds of GDP. Early data suggest retailers had their best holiday shopping season in six years, while inflation has remained remarkably tame despite accelerating wage gains and robust consumer spending. 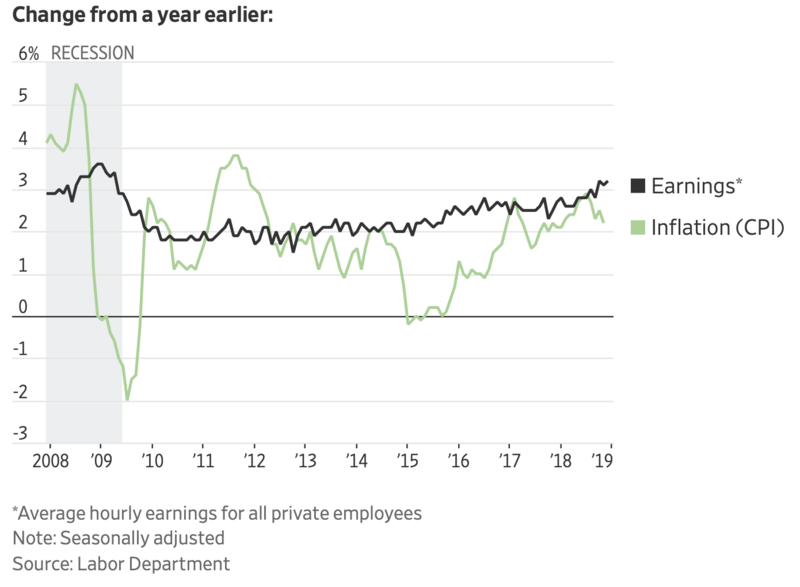 If hiring remains strong and wage growth continues to accelerate in coming months, it could force the Federal Reserve to consider raising interest rates further in 2019 despite slowdown concerns. That’s because many policy makers believe higher wages eventually fuel inflation. It has also made it challenging for some companies to find workers. At Lizard’s Thicket, a Columbia, S.C.-area restaurant chain serving up Southern dishes, payrolls fell last year despite stable demand. Bill Johnson, payroll and benefits manager at Lizard’s Thicket, said a nearby Amazon distribution center, which pays well above the restaurant’s average rate, is probably snatching up some workers. Wal-Mart poses a competitive threat, too. 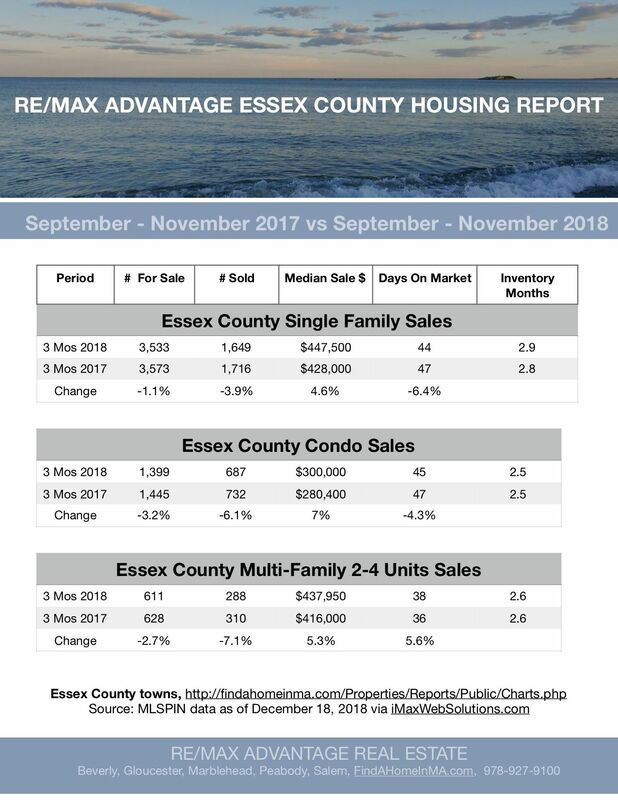 Inventory fell for Single Families, Condos and Multi-Families and Sales fell for all properties except November Single Families. 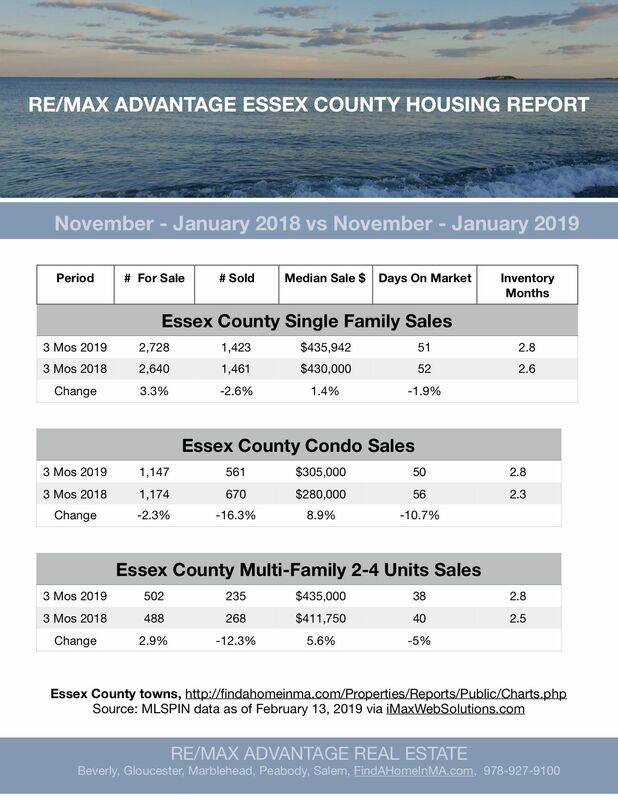 Prices rose across the board for current month and current 3 months.